Readers, many of you loved the cultural insights in my coming of age novel An Unlikely Goddess. 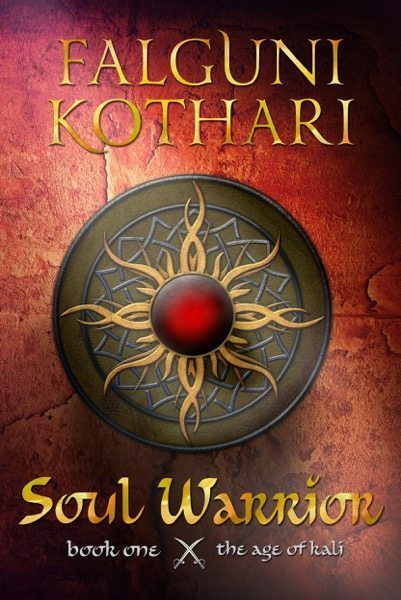 I thought you’d also like to meet Falguni Kothari an Indian writer who writes about Hindu mythology in her recent book, Soul Warrior. When you grow up in India, you are engulfed in tales of good and evil, gods and demons, karma and reincarnation on a daily basis. India’s myths are as much part of day-to-day life as is bathing. So I wondered if heaven and hell actually exists what would they look like? What are the good or bad souls doing in this Heaven and Hell? Are the souls in Heaven any happier being stuck there than the souls repenting in Hell? Do they want to come back to Earth as humans? These questions were the basis of Soul Warrior’s mythos, as was Vedic India and the Mahabharata. India has such a rich offering of grand stories, and its people have a thirst to read them. I want to tell these stories, but in my way. I didn’t want to simply retell the popular tales. I wanted to reimagine them. Go beyond the known myths into the realm of pure fantasy.